In most cases, implants are remarkably durable, but in the event that the ceramic tooth on your dental implant cracks or breaks, we can restore or replace it to keep your smile healthy, attractive, and strong. We use Biohorizions technologies so that you can enjoy the best results possible. 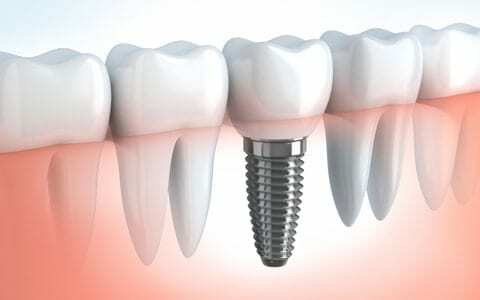 How does dental implant restoration work? Typically, dental implants are very sturdy, but sometimes if a dental implant was not aligned properly or your bite changes, a dental implant can crack or break. If you have an old, broken dental implant, we can use our Biohorizions technologies to replace or repair your damaged implant. At our office in Cary, NC, we have the expertise and technology to completely restore your smile from start to finish. How long will implant restoration take? Depending on the severity of the damage to your implant, replacing a dental implant can be done in only one or two visits to our office. Am I a good fit for dental implant restoration? Are you having any problems with an old implant? We will take the time to carefully evaluate the situation and explain all of your options. There is no reason to be embarrassed by your smile if an old dental implant breaks or cracks. Come in for a free consultation and we will explain how we can fix your dental implant, using the same technologies and standards of quality that we use on all of our new dental implants.